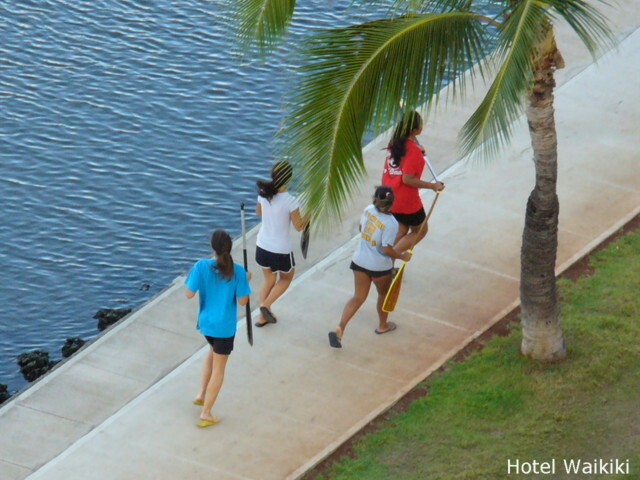 I look outside my lanai (balcony), and what in tarnation are these girl paddlers doing running up and down the Ala Wai sidewalk making all kind big noise? They're cheering fellow paddlers on. Full crews usually consists of six paddlers instead of two paddlers. Just to make things interesting, they're racing with each other. As with all things ohana, everbody gets a turn to make the grade. Funny thing is that once the paddlers switch roles with the cheerleading squad, "pick in up....that's all you get, etc." Or you're the holiday turkey, LOL. What I really dislike are the joggers that think they are just talking to each other but are actually yelling to each other when they run by my house at 5~6 am in the mornings on weekends. Nate- they should know better, and maybe they do. 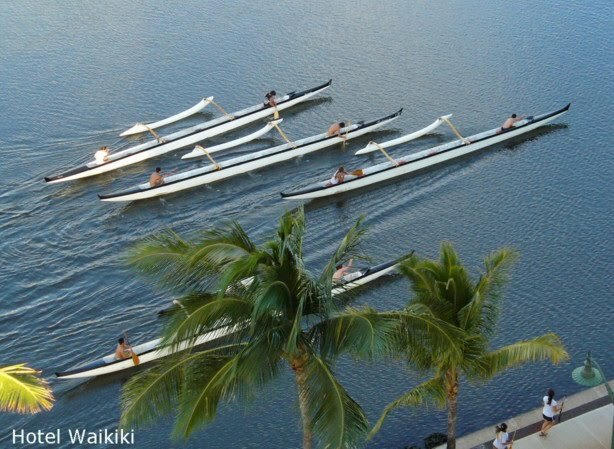 Expect more incidents as the Honolulu Marathon nears. There's nothing like dat slap, slap, slap on pavement that lets you know somebody is walking/running outside. Rowena- them is high school kids. But I know what you mean. Skateboarding is even louder with the sound of the wheels rolling on the sidewalk. yah - will get worse. Most of those "talking" are middle age types - expressing their machoism. I live at the 10 mile mark of the marathon. I go out to watch the lead group - and they are quiet - just whoosh by! Nate- they're wannabes. The pros at the Honolulu Marathon, they're back at the finish line in Waikiki before 7am.